The hot topic in Washington is that Jarrett has been behind the attempt to (1) investigate Trump under the pretense of National Security and (2) has been the one also orchestrating the insurgency protests to overthrow Trump. Jarrett even lived in the White House and dined with the Obamas. She has now also moved into Obama’s nerve center behind his OFA designed to overthrow Trump. 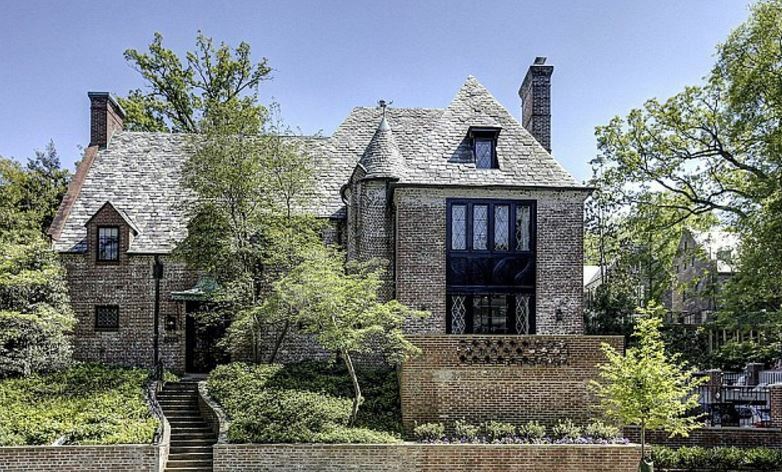 We do know for a fact that she has been living with the Obamas, which is very strange. One would think you would cherish your privacy. 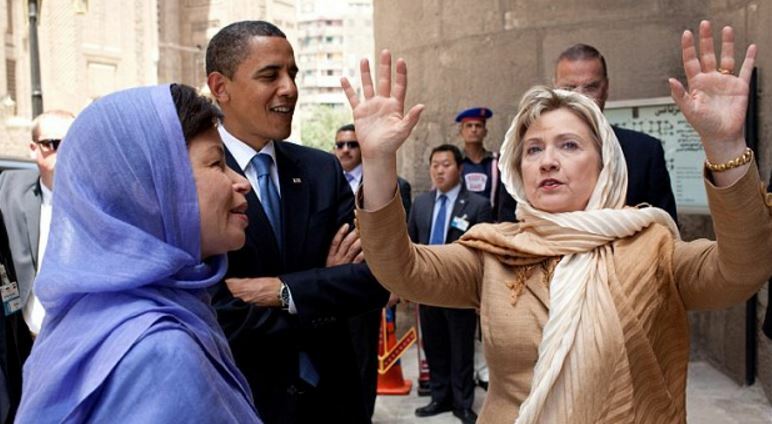 Here is Jarrett with Obama and Hillary. She is a real bulldog and will not let go until she destroys Trump even if it takes down the government, for that is what is unfolding. They seem to think that taking down Trump will make everything better – but that is their hope to preserve the elite. The bitterness in politics that is building has not been seen since the civil war. I am waiting for a brawl on the floor of Congress soon. That would be perfectly in line with the breakup of the United States and potentially even civil war. We have lost all civility in politics. The left has historically ALWAYS been the source of revolution. When Obama was elected, the right simply accepted it and moved on. I remember when Jimmy Carter was elected to everyone’s shock. Hey, there were no protests and vows to overthrow the government. I simply traded gold and made a fortune. You went with the markets. Yet when the left loses, they fear Trump and the Republicans will dismantle their socialist agenda. That is what is at stake for them. Consequently, Obama has refused to leave Washington and has been engaged with his organization that accepted money from Soros. Where is the press now? Is anyone looking at who is funding the protests and the links to Soros? The stories that Soros has been funding protests in Poland and Hungary as well. Nobody will expose what is going on. Of course not. The man who has been banned from his home country – sounds similar to Karl Marx’s flight from Germany. Judging from the hate mail I get from the left, obviously I have hit a nerve. They are blind to the agenda and just hate the right so much, they refuse to look at what rights they are losing to support that hatred. It appears that we are headed back to the mid-19th century when brawls broke out on the floor of Congress over slavery. 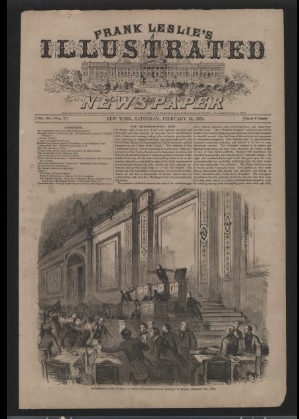 It was when members of the House debated the Kansas Territory’s pro-slavery issue late into the night of February 5-6, 1858 when shortly before 2 a.m. the most infamous floor brawl in the history of the U.S. House of Representatives erupted. Pennsylvania Republican Galusha Grow and South Carolina Democrat Laurence Keitt exchanged insults, then blows. “In an instant the House was in the greatest possible confusion,” the Congressional Globe reported. More than 30 Members joined the melee. Northern Republicans and Free Soilers joined ranks against Southern Democrats. Speaker James Orr, a South Carolina Democrat, gaveled furiously for order and then instructed Sergeant-at-Arms Adam J. Glossbrenner to arrest noncompliant Members. When the House reconvened two days later, a coalition of Northern Republicans and Free Soilers narrowly blocked referral of the Lecompton Constitution to the House Territories Committee. Kansas entered the Union in 1861 as a free state. This illustrated the emotions that then erupted into civil war with the Battle of Fort Sumter (April 12–14, 1861). From the melee on the Floor of Congress to the start of the civil was was 3.18 years. We are looking at the risk of a complete breakdown in the country come as early as March 10th, 2020. This 1858 brawl was by no means the only such violence. In 1798 the battle ground was federalism v State rights. 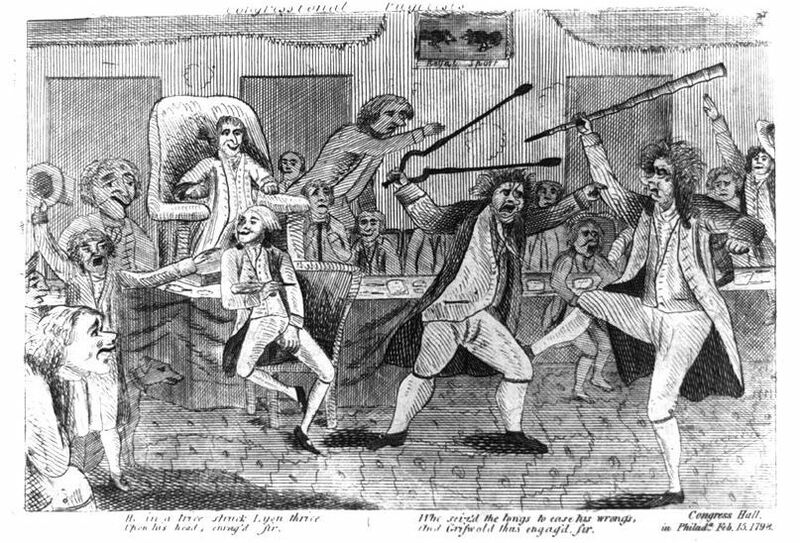 The 1798 brawl took place when Roger Griswold, who was a Federalist Congressman from Connecticut, got into a heated debate with Matthew Lyon, a Vermont Democratic-Republican. Griswold called Lyon a scoundrel, which was very derogatory back then. Lyon then spit in Griswold’s face and a brawl quickly erupted. A few weeks later, Griswold attacked Lyon on the Senate floor with a cane and then Lyon went after him with a pair of fire tongs. As a result, Lyon was the first Congressman to be charged with an ethics violation due to the spitting episode. The Ethics Committee recommended he be censured, but the matter was ultimately dropped. We appear to be headed back to such violent times. Never in the history of our nation has any president refused to leave and sought to disrupt the government of his successor. Obama is unwilling to accept democracy. This is a taste of what is to come. He will fuel the destruction and collapse of the United States in the years ahead.